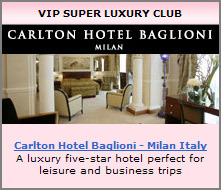 Find the perfect hotel for your stay in Milan - from discount and affordable hotels for the budget traveler to luxury four star and five star Milan accomodations. You can also search for hotels in that cater to your specific needs, such as extended stay hotels, hotels for business traveler / event planning, suite / boutique hotels and much more. Located in the business heart of Milan, in a peaceful side street of Corso Buenos Aires, the BEST WESTERN PLUS Hotel Felice Casati combines comfort and exclusivity with a quiet and elegant location. The Hotel Casati is just 200 metres from Porta Venezia underground station, providing a convenient link along the red line to the exhibition complexes, Milan's central station and all the most important destinations in the city. Over the past two years, the hotel's rooms and public areas have been completely refurbished, adding wi-fi connection throughout the establishment to its list of facilities. The Worldhotel Cristoforo Colombo is located in the heart of Milan, in Corso Buenos Aires, one of the city's most important shopping streets. The MM1 'Porta Venezia' metro stop is just 20 metres from the hotel, linking it to many of the most important places in the city, including Piazza Duomo, Leonardo da Vinci's Last Supper, the fashion district and the new trade fair centre. The hotel offers 116 special guest rooms, perfect for business clients and those travelling for pleasure. Spacious, practical and exclusive, the guest rooms are provided with every comfort, to make your stay unforgettable. The ever-new Boscolo Milano gives rise to a new concept of luxury design hotel. Located in the heart of Milan's fashion district, it is an inspired fusion of italian style, art and original design, combined with the renowned elegance that distinguishes the Boscolo collection. Boscolo Milano upraises from a 1920's bank, completely remodelled by architect Italo Rota into a lighthouse in the landscape of contemporary design. The 154 guest rooms include 9 thematic suites, equipped with top shelf entertainment amenities and stylish furniture to provide the utmost comfort. A building dating back to the early 1900s situated a few steps from Corso Buenos Aires, in a central area of Milan but quiet, near the Centrale station and to Città Studi, with excellent public transport services and full of attractions of all kinds. The Hotel Florence faces onto Piazza Aspromonte, a place immersed in green, in a central position in Milan. There is a playground to spend relaxing moments together with your children in an area where you can walk your dogs. The building dates back to the nineteen hundreds and has been recently restored to offer guests every type of comfort. The public areas are welcoming and functional at the same time: on the ground floor there is a television room with a reading corner and the breakfast room, where a plentiful sweet and savory buffet is prepared in the morning and where guests are served aperitifs and snacks in the evening. The Crowne Plaza Milan City is a newly built superior 4 star hotel located in the City business district of Milan and close to the Central Railway Station.Sondrio subway station (yellow line) is aside the hotel to reach the main city attractions like the Cathedral, La Scala Opera House, Sforza Castle.Easy access to the shopping areas of both the 'Fashion District' and Corso Buenos Aires and to the nightlife of Corso Como, full of fashion lounge bars and restaurants. The new Exhibition Centre in Rho/Pero, so as Fieramilano Convention Center are easily reachable by public transportation (red line subway).The Crowne Plaza Milan City boasts totally soundproofed rooms with a stylish design(81 standard rooms, 18 superior rooms, 7 junior suites and 3 family rooms) equipped with WI-FI internet connection, LCD flat screens with DTT Network and Pay-per-View movies system. The hotel also features a fitness center on the roof with view on Milan's skyline with wellness area and sauna AVAILABLE SOON.Congress facilities up to 120 delegates (including an Executive Boardroom for up to 10 people) equipped with WI-FI and latest technological equipment.Restaurant with international and typical cuisine, and a cosy bar overlooking Hotel s Winter Garden . Hotel Dateo is placed at a short distance from the Commercial and tourist centre (only 1500 mt. from the Duomo Cathedral) from the central station (2500 mt.) and from the city Airport of Linate (about 10 minutes by car or by bus 73). The hotel's strategic position makes it easy to reach many points of interest in a short time including the Duomo, University, Court, Tradeshow Centre, Centrale train station and some important hospitals including the National Tumor Institute. Recently has been opened a new underground train station (line blue stop DATEO) just in front of the hotel which connects all Metropolitana lines and train stations allowing to reach in a few minutes various parts of the city. Its strategic position along with the family atmosphere, where every detail has been thought of and its top quality service will make your stay perfect whether it's for business or pleasure.